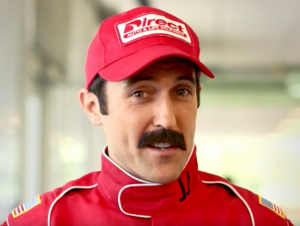 Indie since 2015 agency Pereira & O’Dell scored a new piece of business in the form of Direct Auto & Life Insurance, a slightly less famous competitor to brands you know like Geico, Progressive and Liberty Mutual. The win came after a competitive review, though we don’t know at this time who else pitched. Pereira & O’Dell’s New York office will manage the thoroughly middle-American client, which has 400 retail locations throughout the Southeast and the Midwest. According to a statement, it will create “an integrated online and in-store experience” as part of a full rebrand including not only old-school ads but unspecified “business innovation” efforts. The statement tells us the client chose P&O in part because of its familiarity with the space, which almost certainly means the work it’s done for Mini since picking up that business. The first campaign will launch in June. We can’t provide any spending numbers for the client, but we can show you some of Direct’s recent work, which doesn’t have an easily searchable agency name attached. The brand mascot, J.J. Hightail, is a former racecar driver who can’t seem to leave his glory days behind. They really wanted “Back in Black” for that one, didn’t they? J.J. loves spicy food, hates clowns and shows no sign of giving up on that late-’80s mustache. No word on whether Pereira will retain Mr. Hightail.